Baby and pet gates perform the perfect role of keeping the kids and pets safe, just as the name suggests. These gates prevent some of the most common accidents within the home especially with a couple of kids and pets running and jumping around. So, what should you know about these gates? The best time to set up these gates is just before your kid starts crawling. 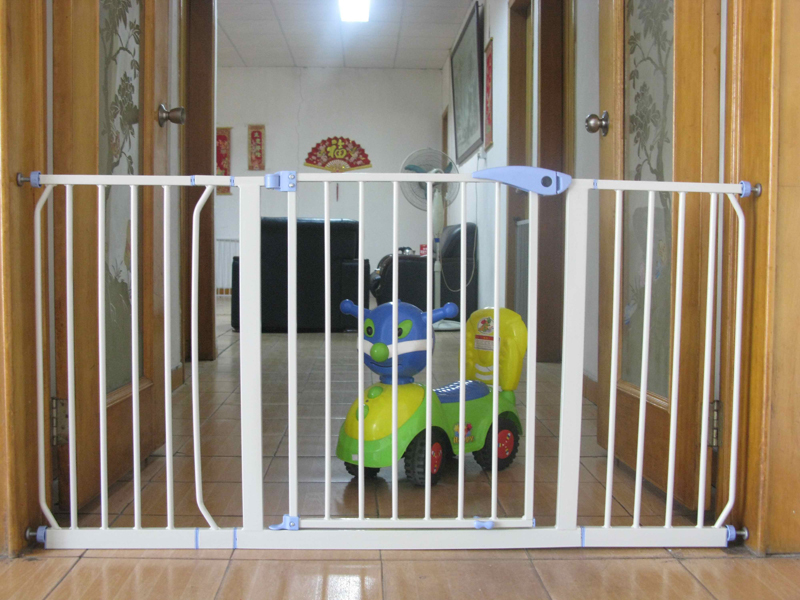 For most kids, this happens between the 7th and the 10th month, making it wise to install these gates when the kid hits 6 months or when he shows signs of crawling. You might wonder what the best places to install these gates are. Well, you need to install these gates at the top and the bottom of the stairs, and any other entrance to a room that contains dangerous or hazardous materials. The most critical spot is the top of the stairs, because a tumble from this point might lead to an unplanned visit to the emergency room. The gate you choose must stretch the whole length of the staircase entrance. This makes sure the gate is secure and able to perform its task perfectly. You also need to use a fixed gate, which means you need to choose a gate that you secure using screws to the wall or stair rails. These types of gates are more secure and can’t be dislodged by the kid. For this, you might have to opt for hardware mounted baby gates. You might opt for gates that are secured without the need for screws, usually called “pressure-mounted” baby gates. However, make sure the pressure bar faces away from the child so that the kid won’t use it as a toehold to climb over the gate. For safety, the gate shouldn’t have spaces big enough for the kid’s foot or hand to go through. These body parts could become trapped in the open spaces leading to accidents. If possible, always buy a patented gate from reputable manufacturers. Most of these are certified and come with enclosed installation instructions. Don’t buy used gates, because some of them might be on the recall list due to some faults. Make sure you enhance the safety of your home by choosing the ideal gate for securing your staircase and other entrances. Consider the size of the gate, installation and design. Failure to do this might lead to accidents.